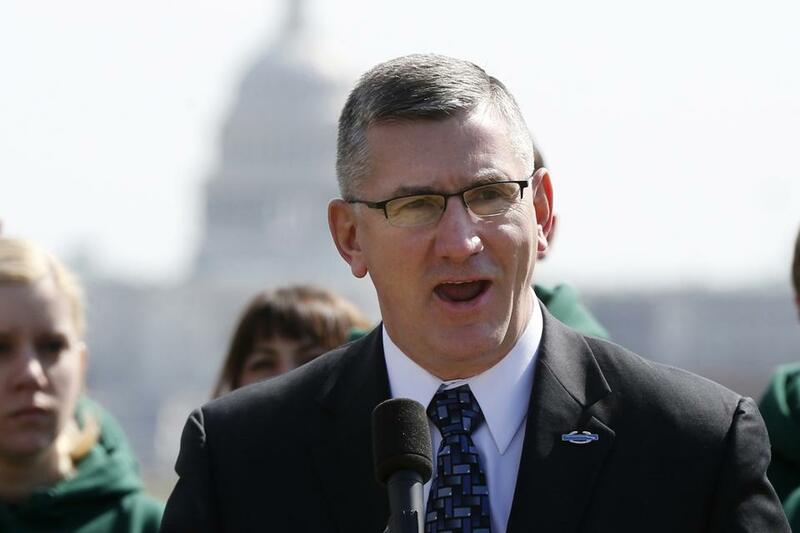 Democrats will be hard-pressed in quickly finding a strong candidate for Montana’s U.S. Senate election after incumbent John Walsh’s abrupt withdrawal from the campaign in a plagiarism controversy. Walsh’s decision to quit the campaign Thursday gave an instant shot in the arm to Republicans nationally. A net gain of six seats in the Senate would give the GOP a majority in both chambers of Congress. And Montana Republicans boast a formidable candidate in freshman U.S. Rep. Steve Daines, who has a significant fundraising edge and carries wide name recognition as the state’s sole House member. As attention shifted from Walsh’s troubles to his replacement, a potential white knight for the Democrats, former Gov. Brian Schweitzer, said he’s not interested in the job. No one else in the state party has comparable political star power. That means whoever is selected by Montana Democrats at an upcoming nominating convention will have to raise lots of money, get his or her name out and excite voters so they turn out at the polls — all in less than three months. It’s a sharp turnaround from February, when Walsh was appointed by Democratic Gov. Steve Bullock to replace six-term Democratic Sen. Max Baucus. After 35 years, Baucus stepped down to accept President Barack Obama’s appointment to become U.S. ambassador to China. Walsh’s appointment gave the former lieutenant governor and National Guard commander the powers of incumbency heading into a long election season. Republicans decried his appointment as an unfair backroom deal. That all changed last month, when The New York Times revealed the extensive use of unattributed material in a 2007 paper from Walsh about the spread of democracy in the Middle East that he submitted to earn a master’s degree from the U.S. Army War College. With an Army War College investigation set to begin Aug. 15, Walsh said Thursday that the controversy surrounding his research paper had become a “distraction” his campaign could no longer bear. He sent a statement to supporters that he was leaving the race but said he will keep the seat until his term ends in January. His decision was first reported by Lee Newspapers of Montana. Daines, a former technology company executive from Bozeman, said he respected Walsh’s decision and wouldn’t comment on the plagiarism allegations. Democratic leaders from county party committees, along with federal and statewide elected officials and the party’s executive board, will convene before Aug. 20 to choose a candidate. Former Lt. Gov. John Bohlinger, who switched parties to run against Walsh in the June primary, said Thursday he’d consider running if chosen. But in a nod to the odds, Bohlinger set some conditions. “I would stand ready to pick up the mantle with the provision of money and an army of volunteers,” he told The Associated Press. Sen. Dave Wanzenried, D-Missoula, said he was “absolutely interested” and planned to make his case in the coming days. A former state labor commissioner, he’s served 18 years in the Legislature. Term limits will end that run in January. “It’s one of those things that comes along once in a while and you say, ‘I’m going to do this,’ ” Wanzenried said. Bullock, state Auditor Monica Lindeen and Superintendent of Public Instruction Denise Juneau all turned down the idea. Montana Democratic Party Executive Director Andrea Marcoccio said Democrats are used to tough races in a state Obama lost in 2012 by nearly 14 percentage points, though voters re-elected Democratic Sen. Jon Tester and Bullock that year. “We plan to talk face to face with Montanans about what’s at stake,” Marcoccio said.